MSE Creative Consulting Blog: No! Meteorologists are NOT Exaggerating Hurricane Michael! No! 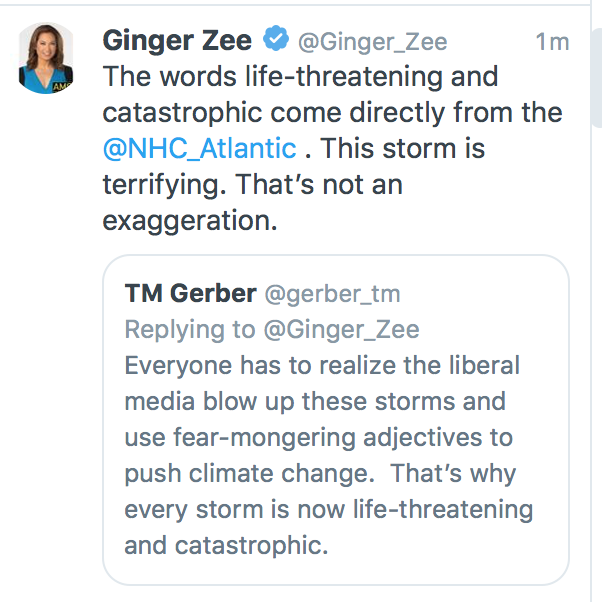 Meteorologists are NOT Exaggerating Hurricane Michael! 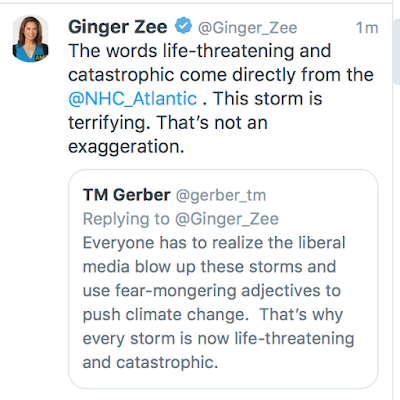 Ginger Zee is a superb meteorologist and she doesn't exaggerate anything. I am a political conservative, as evidence. Meteorologists are not exaggerating Hurricane Michael! 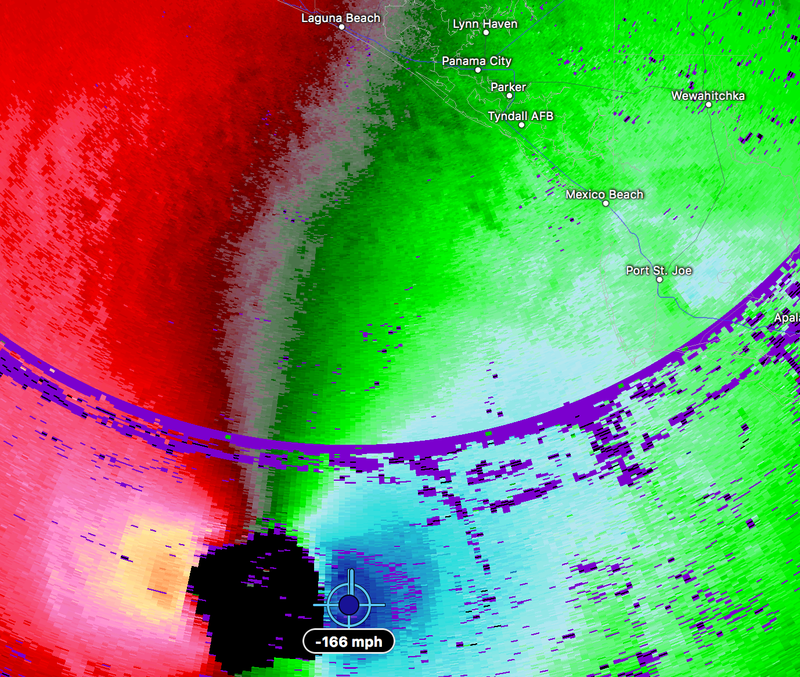 As proof, I just used Doppler radar to measure the winds and I came up with 166 mph. Hurricane Hunters show the central pressure has fallen even more. Michael is still strengthening! Coastline and cities at upper right. The extreme winds in the eyewall are about 40 miles from the coast. It is probably too late to leave as trees will begin blocking roadways and you do not want to get caught in your car. 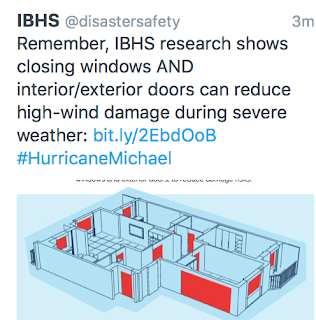 If you are in a building, close every window and door. When the winds rise, hunker down in a bathroom or closet (really! ).